I love how interesting the simplest of things can be. 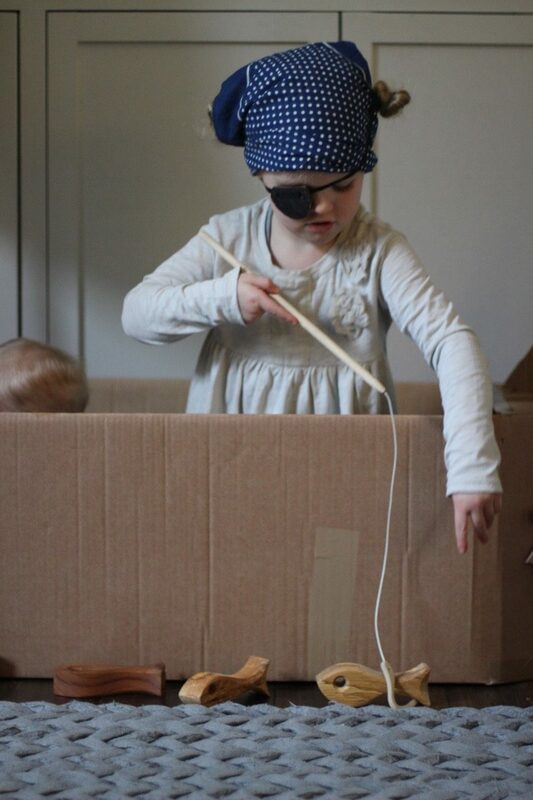 And few things have more endless possibilities than that of a cardboard box! It is deceptively simple. And it can elicit a lot of joy for a long time, just depending on how you look at it. Big, small, square, rectangular, all these boxes just seem to have a million lives. They are waiting to be rocket ships, houses, trains, boats, robots, and… well anything and everything. Your imagination can run wild! What a joy it is! As the coldest days of winter set in, we have begun to hibernate a bit more on the weekends. 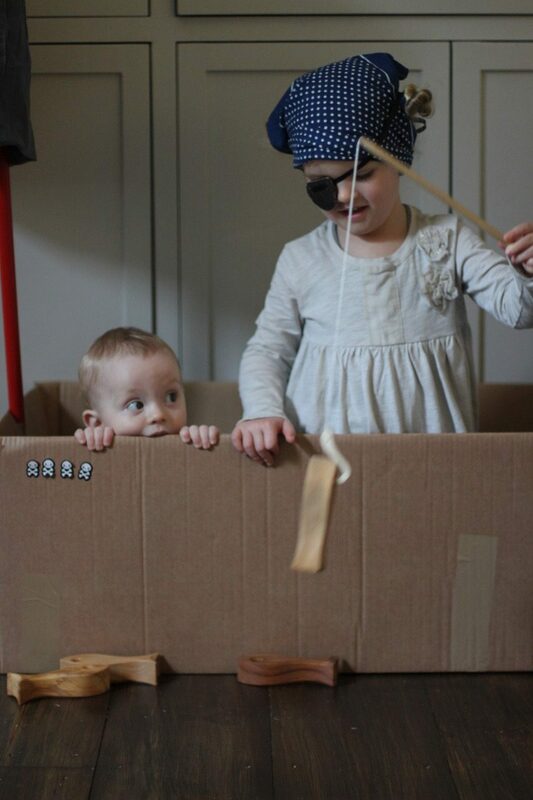 And to create worlds within our home, what better than a cardboard box? It is both a craft, and a toy, with hours of open-play and pretend! Also, by making this otherwise disposed of item into a creation, you are slowing down the throw-away culture, with reinvention, creativity, and a few tools, you will show your children that you can appreciate things in a different way. A great lesson indeed! And there are no ages to this! Joseph was just 8 months old and only sitting up, but loved sitting inside the boat, peeking over to row and look for other pirate ships. 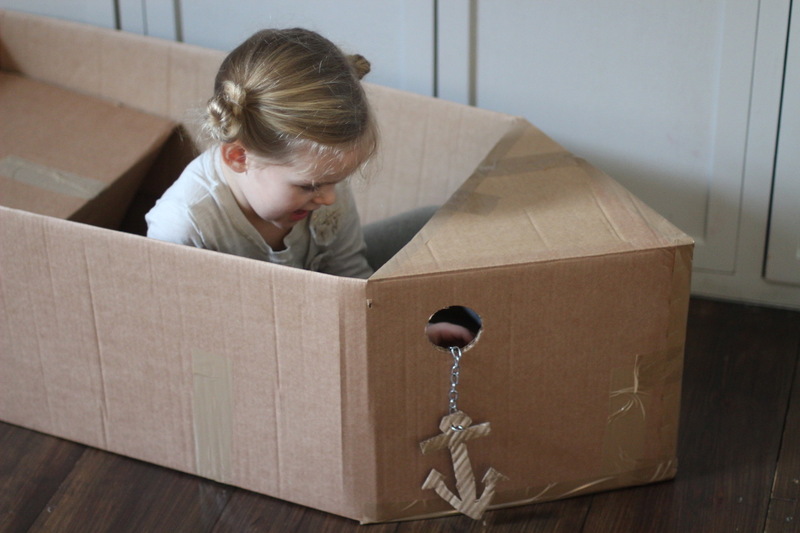 Older children and teens could brainstorm and created more detailed cardboard ideas! We live around the corner from a wonderful florist, with a daily dose of large cardboard boxes when we want them. 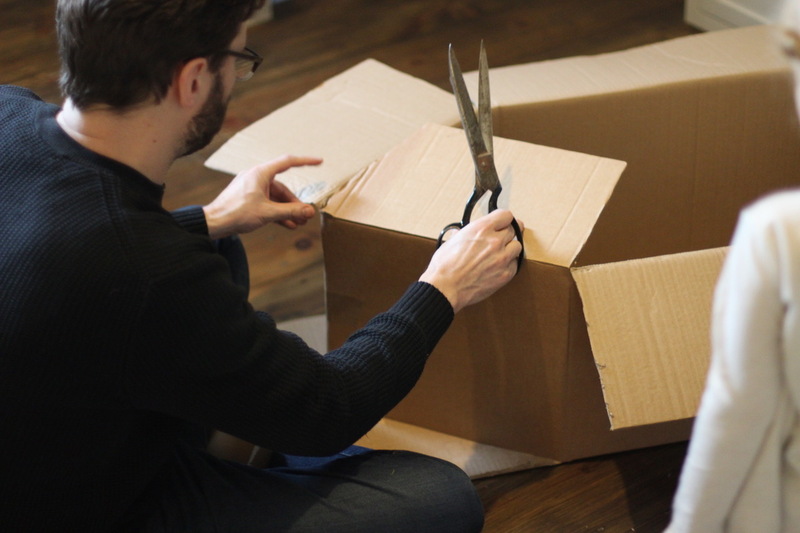 But I am sure you can find some clever way of acquiring large cardboard boxes. Most shops will happily have you take them off of their hands! I have used cardboard boxes to make real-life sized sheep for Nativities, houses for our home, boats, and more. Great for sick days, cold days, or pyjama days. The stories and the ideas your children will create are endless as well. 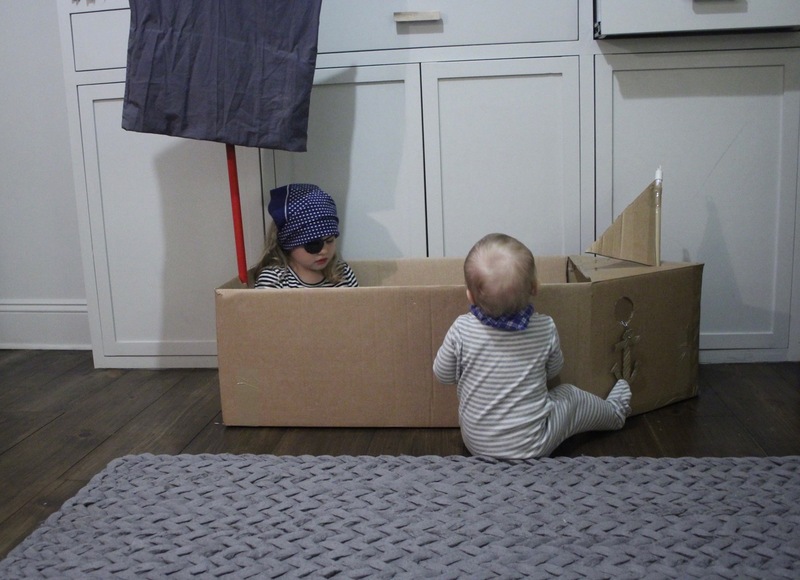 We made this pirate ship with a cardboard box, scissors, tape, a few stickers, and a mop handle sail with a pillow case. All very simple! We even added a metal plumbing chain so the anchor could go up and down. Then we put our fish in the sea, and off they went… hours spent in the world of imagination. Until recently, I haven’t looked at other ideas for making cardboard creations. But wow, you must see some of these finds from Pinterest! So impressive and inspiring that I feel my skills are quite elementary. Hopefully you will be inspired to make these. 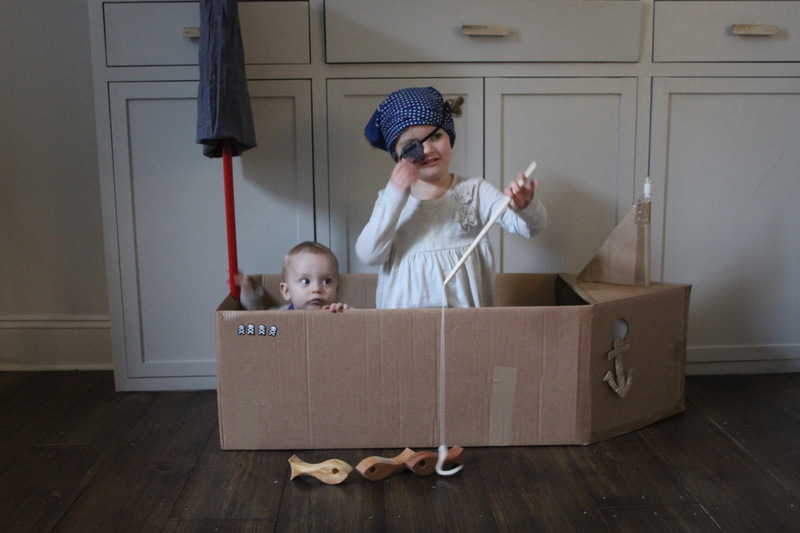 And if you do make some fabulous cardboard creations, we would love to see them! So please share your ideas with us on Pinterest or email them to me too! We would love to see them and share some on our Instagram too if you are happy to! P.S. Other clever cardboard items include this printed cardboard box and one of my favourite Babyccino posts ever, this Doll Hospital! 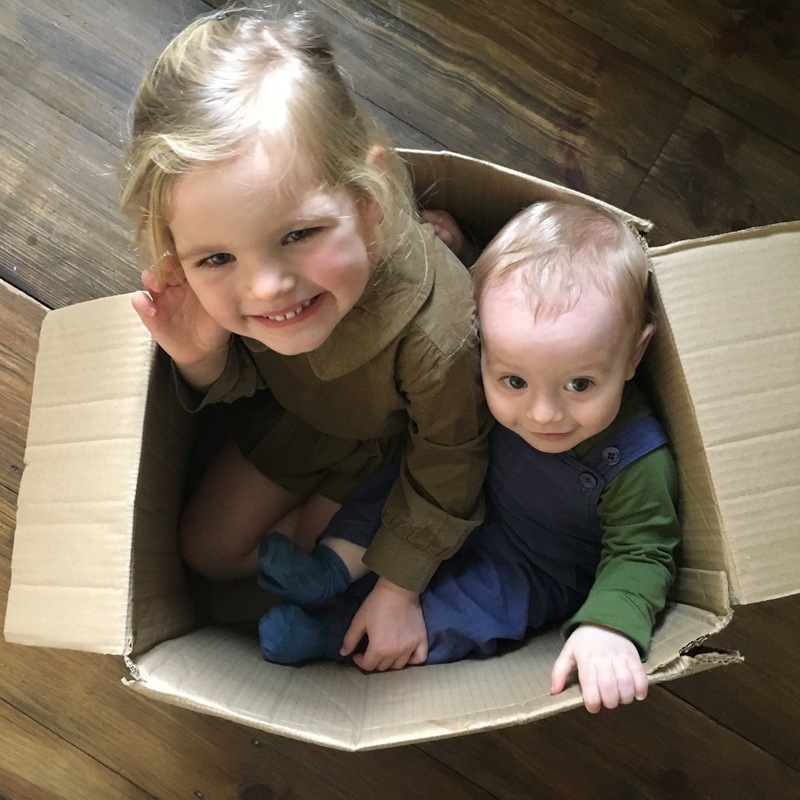 I grew up playing with cardboard boxes and my children LOVE it whenever we get a package because it’s a new box to play with (most of ours are turned into doll beds!). I also love that it teaches my girls a lesson about re-purposing often discarded items (I also find it funny that there are now stores that sell cardboard box sets for children to color and make into things like a castle or a boat!). Pillow stamping at the Snor Festival & Yvestown Fair this weekend!